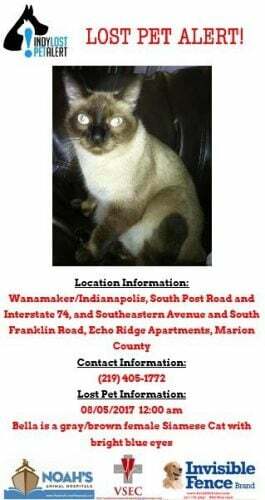 Home » Lost » Lost Cat » BELLA is still missing! Bella is a fixed female, mixed breed. Bella mainly looks like a Siamese seal point cat. She is an indoor kitty, only been outside a few times, she is very friendly but may be skidish; as all she knows is her owner, a 8 year old young girl, her mother and her best kitty friend. We are devastated with out our Bella !